Annotations are available on Professional and Enterprise plans. If your Fulcrum plan supports annotations, there will be an additional setting for photo fields in the app designer to enable annotations for that field. 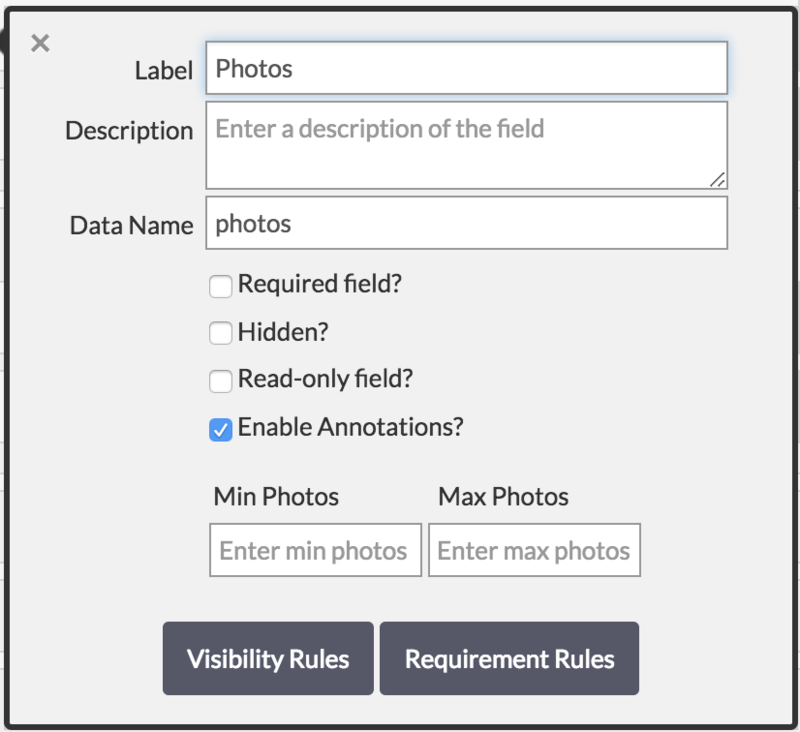 For photo fields where annotations are enabled, mobile users will have the option to annotate the photo after it has been attached to the record. Click here for a step-by-step photo annotation guide for Android. Saving photo annotations will overwrite the original attached photo with the annotated photo. If you want to retain the original and attach it again, make sure to enable saving to the camera roll. Annotated photos will retain the original photo's EXIF attributes, including any geographic information.